If you are fretting about our collective unwillingness to do anything about climate change, take hope: climate change is real. You know it, I know it, and those who disagree have run out of scientific legs to stand on. That may not seem like a source of hope, but scientific verification of environmental problems has been a powerful ally in the past. Indeed, through the efforts of activists, scientists, and governments we have already successfully solved some incredible air pollution problems. This article takes a look backward at where we have come from and suggests that, yes, we may still have a bright future ahead. In December 1952, a shift in weather patterns trapped air over the city of London for five days, choking the city with sulfurous smoke from coal furnaces and reducing visibility to a few feet. In time this “Great Smog” killed more than 10,000 people. Images of the event are truly arresting: dense mustardy haze obscuring the sun, anonymous faces covered by dust masks, police desperately directing snarled traffic. While Londoners were dying from coal smog, Arie Jan Haagen-Smit, a Dutch organic chemist working at Caltech, was investigating the ubiquitous eye-watering hazes of Los Angeles, which were strangely different from the coal burning smog of Europe and the American East. He described “photochemical smog:” a mixture of chemicals reacting with the sun to form high levels of ozone and particulate matter. Ozone, a cause of respiratory problems and long-term increases in mortality rates, regularly peaked in L.A. at levels more than five times the current ozone standard deemed “safe” by the U.S. Environmental Protection Agency (EPA); the images of dust masks and haze in L.A. are no less dramatic than those from the Great Smog. For all of the tragedy of sickness and death that they brought with them, the catastrophic smog events of the 1950’s fundamentally reshaped our society’s view of air pollution, spurring us to fight for cleaner air and, eventually, establish our country’s first air-based environmental regulations. 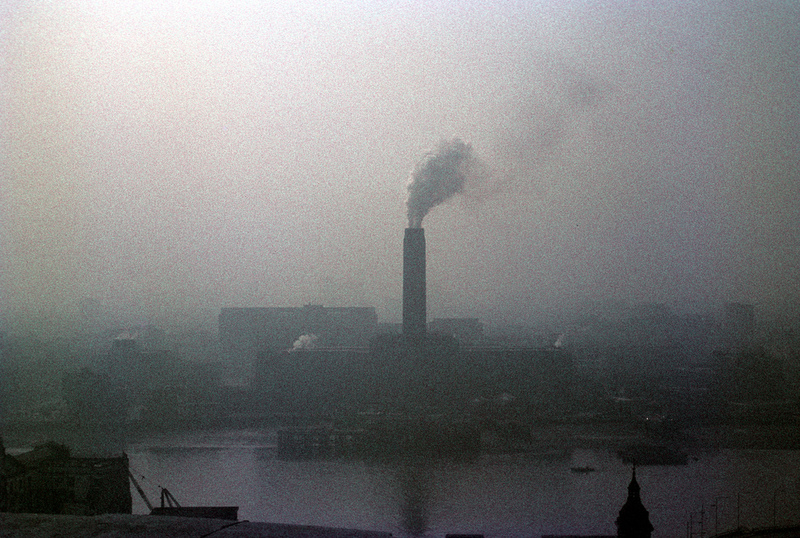 Soon after The Great Smog, Great Britain passed the Clean Air Act of 1956, which regulated industry and power plant emissions to significantly improve air quality in the UK’s industrial cities. It took us another decade to address our own toxic air problems, but our Clean Air Act of 1970 has proven to be one of the best, and most cost-effective, of our environmental laws. The Clean Air Act of 1970, which addresses pollution by setting strict national air quality standards, has successfully mitigated pollution from an incredible range of sources, including power-plants, mobile vehicle, industries, and aircrafts. Environmental progress has been slow but steady. Since the inception of the Clean Air Act, the number of days that ozone in L.A. has surpassed the federal standard has decreased from 200 to approximately 100, aided by increasingly tight regulations of ozone precursors. Studies suggest that meeting recently new standards would significantly protect a vast majority of asthmatic school children, while preventing hundreds of premature deaths in California alone. With each new environmental regulation has come industry opposition, however, ranging from cost objections to absurd claims: for instance, tests by a bus company in L.A. in 1954 showed “conclusively” that diesel engines do not pollute. They do. Despite well-funded opposition, regulators have been successful time and again, armed with facts and persistence. It took decades for this country to address its pollution problems, but global issues have not always been so sluggish. The Antarctic ozone hole was addressed quickly and effectively by the international community despite industry objections, complex science, and dismaying projections of doom. We now know that the absence of swift international regulation banning chloroflourocarbons (CFCs) would have resulted in the near-destruction of the ozone layer (which blocks harmful ultraviolet rays) and a skyrocketing skin cancer rate. In 1974, predictions to that effect published by Drs. Stephen Rowland and Mario Molina were still unsupported by scientific observations and so were met with disbelief from industry advocates. However, when the first observations of ozone depletion were reported in 1985, a decade of scientific discussion had prepared the international community to act. Only two years after this first report of ozone loss, 46 governments signed the Montreal Protocol, an international treaty barring the production and use of ozone depleting substances. Supported by several amendments and addendums, levels of these compounds have since plateaued and are declining. The current environmental push to address climate change is often frustrating and infuriating, with people denying the science, objecting to costs, and shifting the blame, but there have been some significant steps made in this country. In 2007, the U.S. Supreme Court ruled that the U.S. EPA may regulate greenhouse gases (Massachusetts v Environmental Protection Agency), as they “endanger public health and…welfare.” This is, in many ways, the federal government admitting the dangers of climate change, based off of peer-reviewed scientific literature. The state of California has gone further with Assembly Bill 32, which seeks to reduce greenhouse gas by 25% over this decade, and an effort to curb this reduction in emissions was defeated soundly. Internationally, every country except the United States has signed and ratified the Kyoto Protocol, which seeks to reduce greenhouse gas emissions, with precise goals left up to individual countries. Most importantly, these governments have been spurred to action by activists rallying through important non-governmental organizations such as 350.org. Many people see the steps that the United States and the international community have taken as too little, too late. For instance, models have found that even small changes in rainfall can mean the difference between a grassland and a rainforest, and modest sea level rises could be disastrous for millions of people around the globe. The governments of the world are failing in their duty to protect our health and welfare, but there is some reason for optimism. The concerned community of activists, scientists, and environmental advocates need only look half a century into our own past to recognize our ability to persevere against stubborn governments and industries: deathly smog no longer blocks the sky, the ozone hole is healing, and lead paint no longer poisons children. We have fought air pollution in the past with some success, and we can do it again, but it might take longer than we want. Let’s hope it doesn’t take longer than we have. Gabriel Isaacman was raised by wild scientists in Bowie, MD, before going to Wesleyan University, where he received a BA in Chemistry and Earth and Environmental Science in 2007. He moved to the Bay Area to pursue his dream of having many part-time jobs. Following a year at a science museum and teaching gardening to children, he decided to use his science background in a field that affects everyone. He is currently working on a PhD at University of California, Berkeley, researching air pollution composition, formation, and sources. Hopefully his work will assist mitigation efforts. Off course we should take a lesson from Air pollution past. For all of the tragedy of sickness and death that they brought with them, the catastrophic smog events of the 1950′s fundamentally reshaped our society’s view of air pollution, spurring us to fight for cleaner air and, eventually, establish our country’s first air-based environmental regulations. So we should support Air clean societies and organization. PALS is a ‘Pure Air Lovers Society’ working for preventing air pollution. For more detail visit: http://www.pals.in. Pingback: It’s Back to School – Let’s Bring Hope!